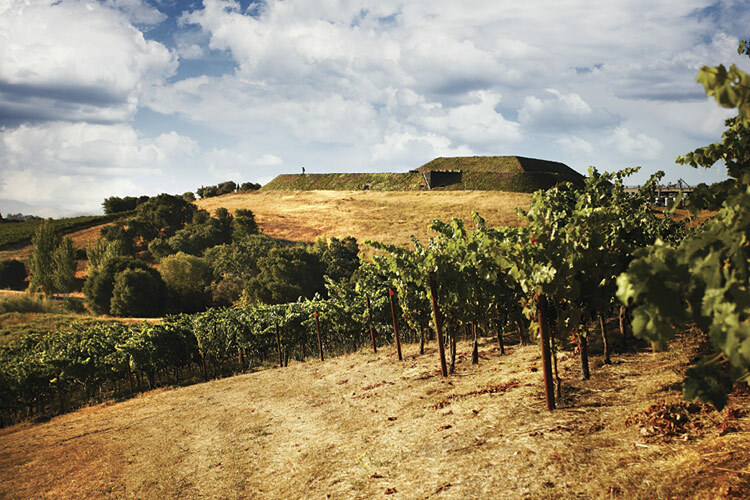 Artesa Vineyards & Winery’s roots date back to the 1980’s when the Raventós family, heirs of the Spanish winemaking dynasty Codorníu, began to acquire and develop vineyard land in the Carneros region of Napa Valley. Originally opened as a sparkling wine house–-Codorníu Napa–-in 1991, the winery ultimately transitioned to producing still wines as successive vintages revealed the quality and potential of the family’s vineyard holdings. The winery was renamed Artesa–Catalan for “handcrafted”–in 1997, and has since become a leading producer of limited-production artisan wines from the varietals for which Carneros is best known–Chardonnay and Pinot Noir. 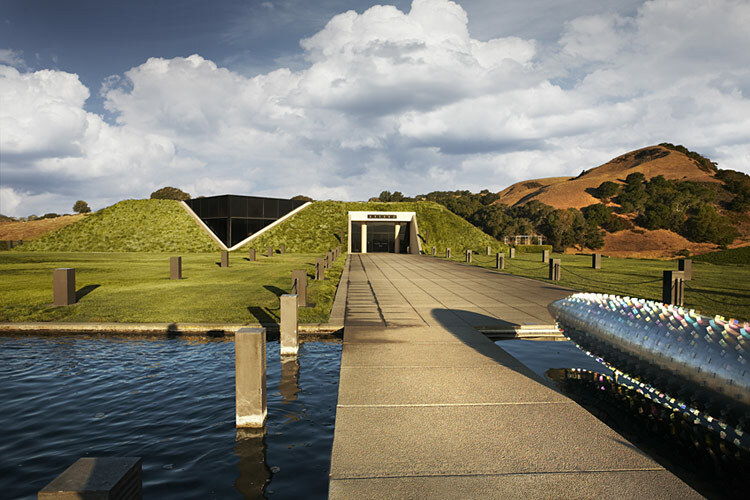 One of Artesa’s most distinctive features is its hillside winery in Carneros, an avant-garde structure conceived to blend seamlessly with the surrounding landscape. 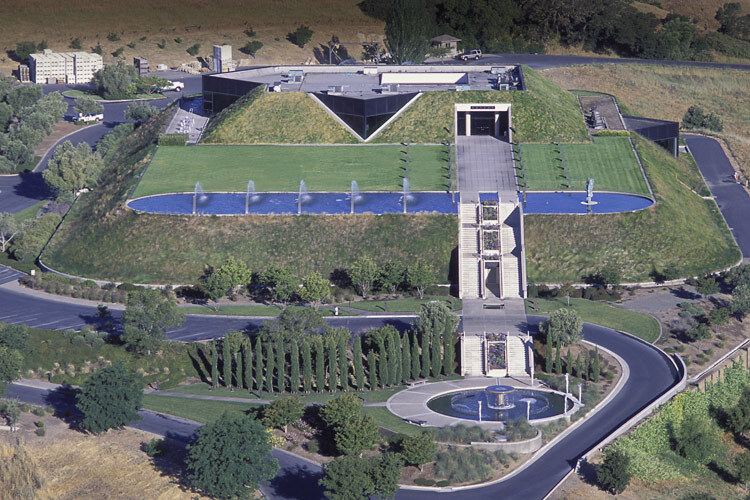 Designed by renowned Barcelona architect Domingo Triay and executed by Napa architect Earl R. Bouligny, the striking winery is set into the highest hill of Artesa’s 350-acre estate, its rooftop concealed by a protective covering of native grasses. 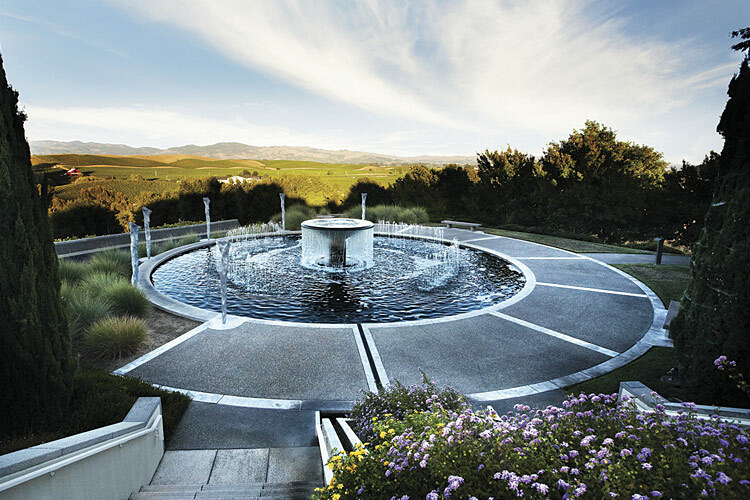 With fountains, sculpture and modern art gracing its outdoor spaces and light-filled tasting room, Artesa is one of most visited wineries in Napa Valley.